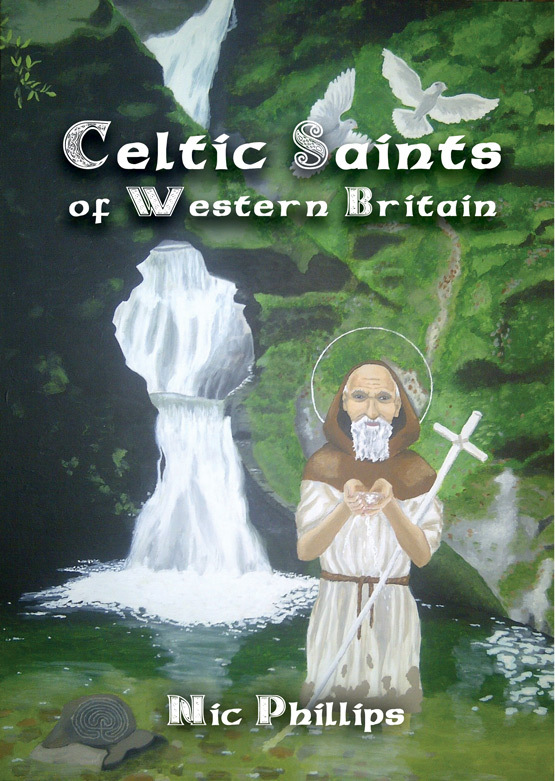 This picture is from and was designed specifically for, the anthology ‘Memento Mori’ from Avalonia Press (forthcoming). The theme of the articles and artwork in the book is, as the title suggests, about death; the title being the Latin phrase meaning “Remember you will die”. 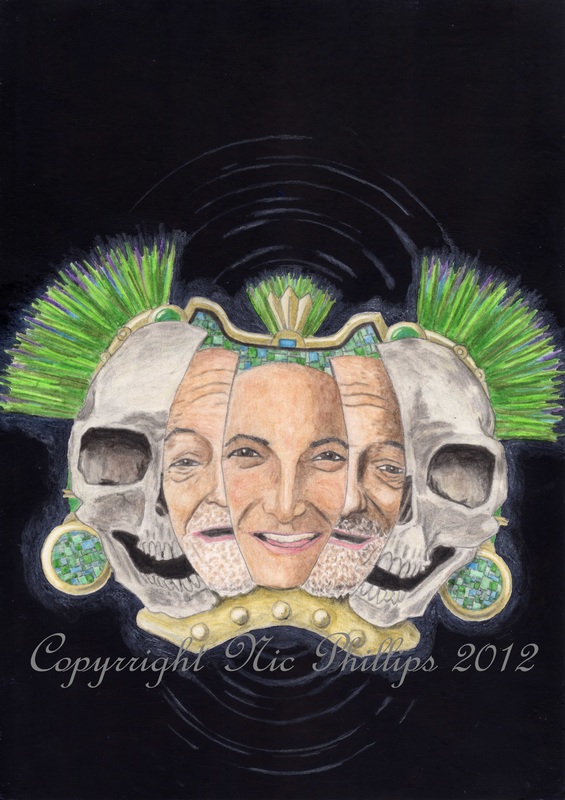 The inspiration for this picture was the Aztec mask of Death and Rebirth, a modern name for a stylised piece of pottery that features in layers the face of a young man, an older man, and finally a skull. Historians speculate that its meaning is the same as that of Memento Mori, a reminder that we all will age and die. Ink and watercolour pencil (8in x 12in).